Contact lenses can change the shape of your cornea and it is important to allow time for the cornea to return to its natural shape prior to the day of your LASIK or PRK procedure. For this reason we ask that you refrain from wearing your soft contacts for one week before the procedure. If you wear hard (RGP) contacts it will usually take four to six weeks for your corneal shape to stabilize and there will be additional appointments included to ensure your corneas have stabilized before procedure. We also ask that if normally wear eyeliner or mascara that you avoid wearing it the day prior to procedure. LASIK is a surgical procedure, but the good news is you can eat a light breakfast or lunch before coming in! Upon arrival our front desk will process your payment. If you decide to go with a longer term third party financing plan through Care Credit please apply at least a week in advance to allow processing time. Our laser room is generally kept very cool so dress comfortably. We ask that you do not wear eyeliner, mascara or any face makeup on the day of the procedure. Also we ask that you don’t wear anything heavily fragranced like perfume, cologne or scented body lotion/spray. The total length of time you will be at our office is normally about two hours. Finally, don’t forget to bring a friend who can drive you home. 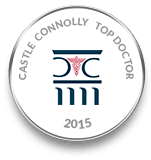 After your procedure our staff will thoroughly go over your post operative instructions. We provide your antibiotic and anti-inflammatory drops so there is no additional expense of having to fill a prescription for these at a pharmacy. Most patients will be instructed to leave on their protective shields or wear goggles until the following morning to protect their eyes. Dr. Dornic will also provide his pager and cell phone number in case you have any concerns overnight. 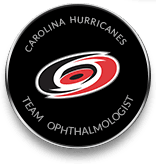 Laser Eye Center of Carolina will be with you all the way. Dr. Dornic will see you the following day to check your visual acuity and ensure your eyes are properly healing. There is an entire year of follow up care included to monitor your visual improvement and we will cover any necessary enhancements for under or over correction free of charge for up to two years. 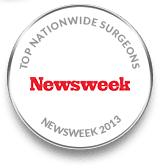 The typical follow ups for LASIK procedures are at one day, one week, one month, three months, six months and one year. If you were referred to us from your own optometrist or if you live out of town we will be happy to coordinate co-managed care at no additional charge. In addition to being acknowledged as a talented LASIK surgeon, Dr. Dean Dornic is a highly experienced cataracts specialist. 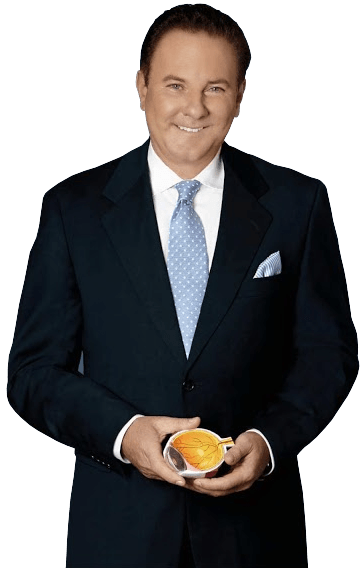 He uses some of the latest surgical technologies and techniques to deliver the best possible vision correction results for all of his cataracts Raleigh / Durham, patients.